Egypt, Luxor. The Nile passing Luxor. 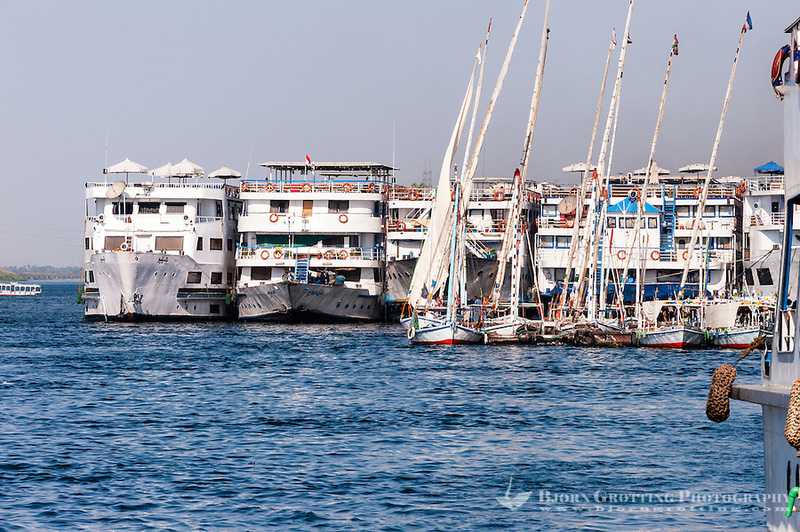 Riverboats and felucca's, a traditional sailboat.